Every year when it starts to feel like fall (or it's right around the corner) I find myself admiring richly painted front doors. I just love the way they make the front of a house pop and add a little something unexpected. I know for certain that when we no longer live in a rental I will be having a colored front door! (this may take some convincing of the hubby). I absolutely love this navy door, it's so pretty and such a nice switch up from going with black! I love the idea of a navy door with a gold handle and knocker, I think it would look so pretty. Plus I am just loving navy and gold together lately. 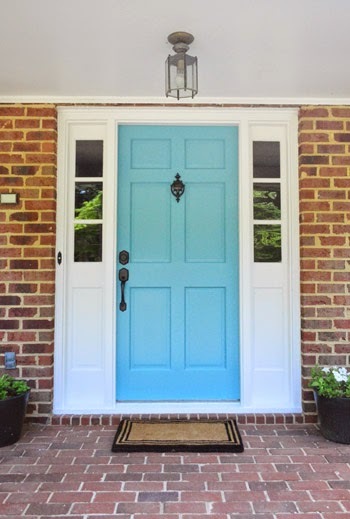 I love this shade of turquoise that John and Sherry did over on Young House Love Blog. It is such a fun shade and really adds a nice punch of color to the front of their house! 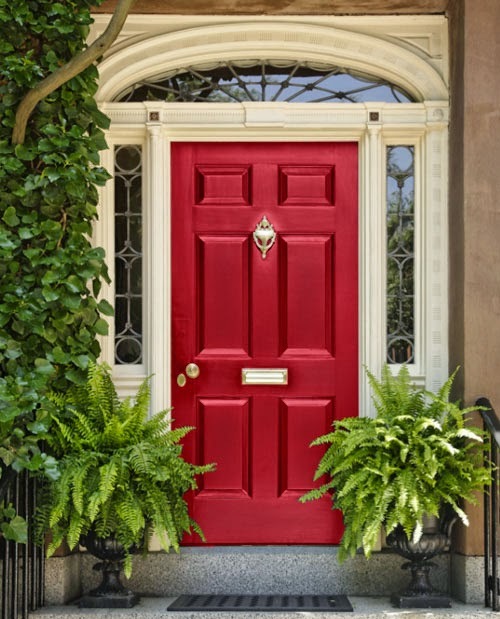 Of course I couldn't leave out a red front door, and to me this is just the perfect shade, not to orange, not to blue toned and is really rich. I think a red door has to be one of my all time favorites and almost always looks great! A black door has such an understated elegance to it. 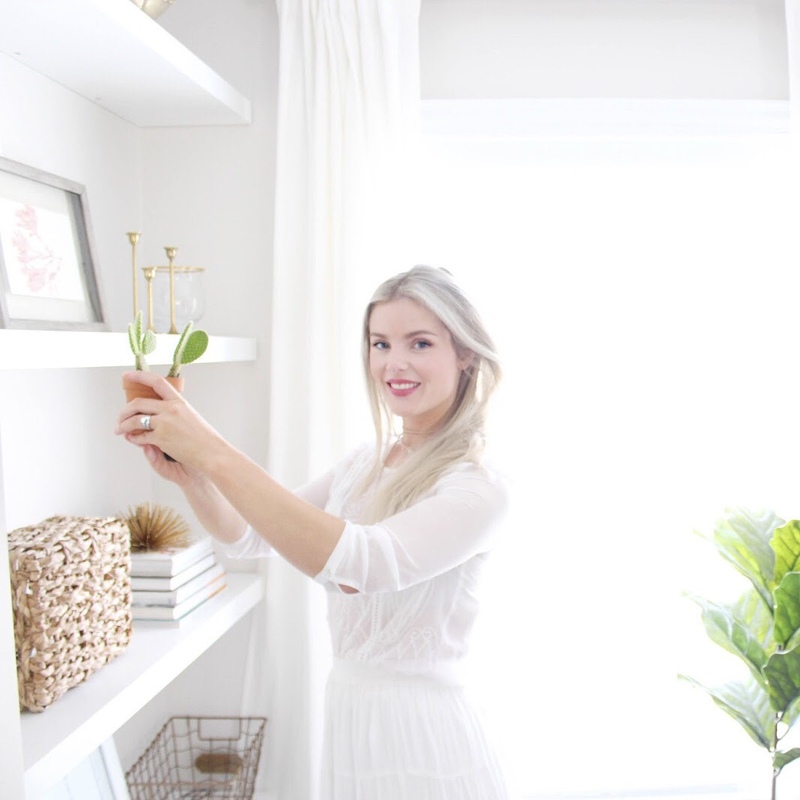 It's a great way to switch up the front of your house from the traditional white door, but not jump into the world of color. 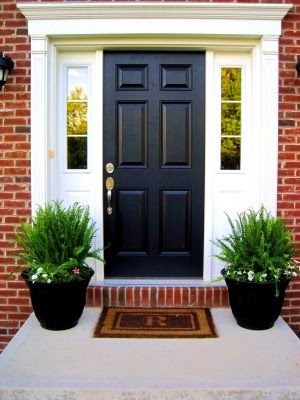 Overall, painting your front door is such a simple, easy and inexpensive way to completely change the look of your house. 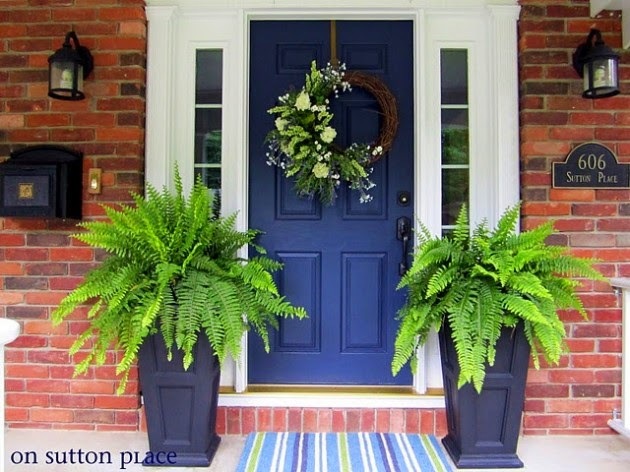 Place a couple of potted plants to flank the door, and even a wreath if your feeling like a rebel and I feel like it's a win in my books! No place on earth today is safe. And Miami - or the 'Land of the sun' as it is popularly known - is no exception when it comes to safety. Naturally a common sight in Miami - or rather an uncommon one - is that of a locksmith. With thieves and burglars getting hold of every possible way to get past doors locked with the conventional mechanical locks, locked doors aren't safe enough anymore. A simple twist and the conventional locks give way.http://www.flatratelocknkey-denver.com/ But now there is hope, and it has found the form of locksmith . Check this out: http://locksmith-allentown-pa.com/ I hope it's gonna help you in your daily life! There are many different situations that require the help of a locksmith. The reason doesn't matter; it only matters that you find a reliable one. The information below can help ensure you only hire the best professional help. - 24 hour locksmith . I find some interesting locksmiths service right here: Locksmith Tacoma http://locksmith-tacoma-wa.com/ Did you use it before? Thanks for give suggestion about making home more secure with locksmith near me. We know that ensure security for home is necessary for everyone to keep your assets safe and your family members. Who know where I can find assessments of this locksmiths company? Locksmith Knoxville http://locksmith-knoxville.com/ Is it good company or not? Most will search for the least expensive offer not understanding New Port Richey painters that they will presumably not get their cash's worth. How much does it cost to hire our Orland Park, IL Kitchen Cabinet Painting Company? prices vary accordingly. There are many reasons for hiring kitchen cabinet refinishing companies in Orland Park. Cost for Orland Park professional cabinet painters may vary, but if you find the right Orland Park kitchen cabinet refinishers, it is often worth it.